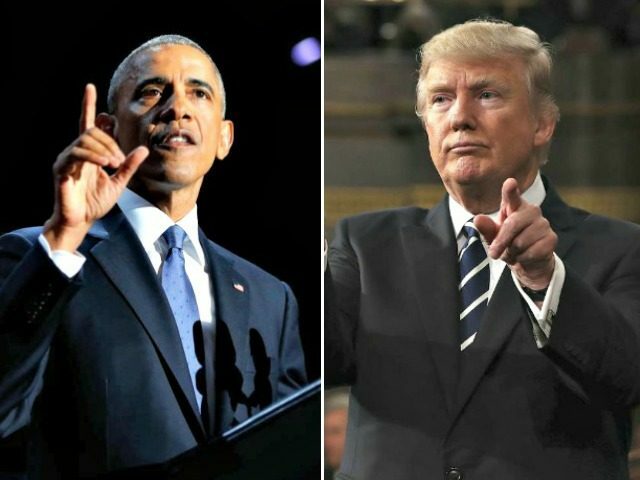 President Trump’s speech in Poland Thursday punctuated the end of the Obama era, with Trump giving an address that at times couldn’t be more opposite to the worldview and the vision of former President Obama. At times Trump has struggled to outline a clear foreign policy. His campaign and inauguration speeches emphasized the importance of “America First” — in itself a break from Obama’s internationalist worldview which saw such blatantly nationalistic statements as vulgar. But in the first months of his presidency, a “Trump doctrine” has not been visible, in part because events on the world stage have gotten in the way. Like President George W. Bush, who advocated a pullback from the foreign adventurism of President Bill Clinton but was dragged into the Middle East by 9/11, Trump had his foreign policy aims scuppered by chemical warfare in Syria by the Assad regime and aggressive maneuvers by North Korea. The defense of the West ultimately rests not only on means but also on the will of its people to prevail and be successful and get what you have to have. The fundamental question of our time is whether the West has the will to survive. Do we have the confidence in our values to defend them at any cost? Do we have enough respect for our citizens to protect our borders? Do we have the desire and the courage to preserve our civilization in the face of those who would subvert and destroy it? Trump offered the world a lens with which to view his policies. The travel ban, the Paris climate deal, cutting down on NATO members not paying their fair share — they can all be viewed in the same way: answering the above questions with a confident “Yes.” It tapped not only into an “America First” attitude, but also a belief that America and the West are worth defending, and that it must be confident and unashamed in doing so. That fog had been spreading to America and was seen somewhat in President Obama, who frequently appeared hesitant to take America’s side in an argument. On his “apology tour” Obama said America had “shown arrogance” and been “dismissive,” and later he played down the concept of American exceptionalism. Yet, in Cairo, he talked about “civilization’s debt to Islam” and claimed that “Islam has demonstrated through words and deeds the possibilities of religious tolerance and racial equality.” When things didn’t go Obama’s way, he would warn: “The world is watching” as if America should cower in the world’s glare. This bled into his policies. ObamaCare was sold in part on the claim that other countries had some form of universal care and therefore America must too. Immigration policies were pushed presuming that America is somehow incomplete by itself, with the phrase “nation of immigrants” being used to sell the bogus notion that America is reliant on immigrants and has no culture in and of itself. The Paris deal had America shouldering one of the toughest burdens, implying that it was a hindrance, not a help to the world community. The NATO inequality on funding implied that America caused all the wars, so it was right that America pays to finish them. But Trump recognized the goodness of America and Western culture, and called for confidence in that culture, and thus its defense. It is why Trump rejected those Obama-era policies, choosing instead an immigration system that doesn’t feel a need to import the third world, an energy policy that does not burden itself with regulations, and an international policy that doesn’t believe it should shoulder more than it needs to on NATO or the U.N.
Trump’s speech did not merely represent a shift in tone, as one would expect when going from a Democratic to a Republican president, but that it represented such a colossal overhaul of the outlook from the White House that it closes the book on the Obama era, and repudiates Obama’s globalist worldview. Trump’s agenda has struggled at times so far: the travel ban is only just being put in place, the much-promised wall is still nowhere to be seen, and America is still tangled up in international obligations at places like the United Nations. But in Poland Trump made it clear that his vision won’t be restrained by what Obama would call “the old ways of thinking,” and that Obama’s globalism is part of that old way of thinking.